I will also provide a compatibility CD that will allow the game to run under ALL VERSIONS of Windows 10, 8, 7, Vista and XP, both 32 and 64 bit. Note that multiplayer mode is not supported. 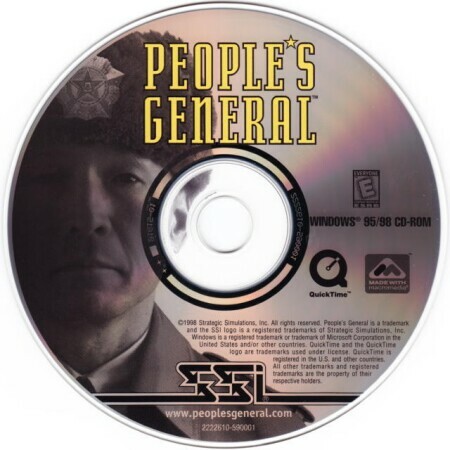 People's General is set in the early 21st century, and the United Nations is at war with an aggressive China for control of most of Eastern Asia. 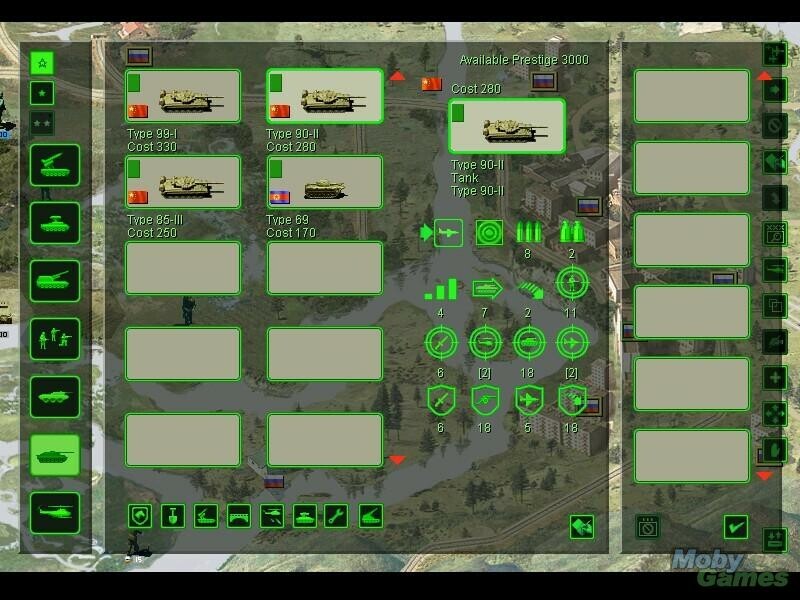 People's General represents the natural evolution of Panzer General II and the Living Battlefield series, including many new refinements, ideas, weapon systems, and a game engine that has made a fairly successful transference to the modern era of warfare. People's General and the previous games are typically labeled as "beer and pretzels" wargames; they do not require a thorough knowledge base of military history and hardware, they are relatively easy to play, and are typically pleasing to the eye. People's General is no different. Requiring only a rudimentary knowledge of modern weapon systems (tanks, infantry, missile batteries, helicopters, air strikes, and the like), it can be played by basically anyone willing to give it a try. While the maps are hex-based, they are hand-painted beautifully in 16-bit color. 3D models of various vehicles and infantry depict individual units. Moving and attacking is a simple job of selecting a unit, pointing to a hex within range, and clicking to move. When attacking, estimated battle casualties, based the situation, are given, so you can somewhat accurately gauge if an attack will yield decent results or not. There are nine campaigns and 34 scenarios in the game. While four of the campaigns are actually different-length versions (with varying difficulty) of the Eastern and Western theater campaigns, there are three other independent campaigns. You are treated to a short video as the campaign starts and various status reports as the campaign continues. As a plus, a scenario-creation editor is also included, though you'll have to use one of the pre-drawn hand-painted maps to work with it. If you've played the series before, you'll want to know what's new and different. Basically the engine is the same but has been neatly tuned to the modern era. Helicopters now behave like aircraft did earlier in the series (though they're much more powerful), and you now have the option of using air points to purchase air strikes, wild weasel and recon missions, defense air support, or the ability to airlift troops. With increased air capacity comes air defense units, which can severely hamper any air operation. Most units have the ability to attack across a number of hexes, and a range of six to eight hexes for missile batteries is not uncommon. Units can remain completely hidden from view or may be visible but labeled "unknown." Also, you can assign particular capabilities to units instead of having to buy completely new units for a certain job. For instance, you can purchase a river-ferrying kit for your M1A3 unit, via the time-honored prestige points system (which is used to purchase, reequip, and resupply units in the game), instead of having to pick up a specific bridge-laying unit. 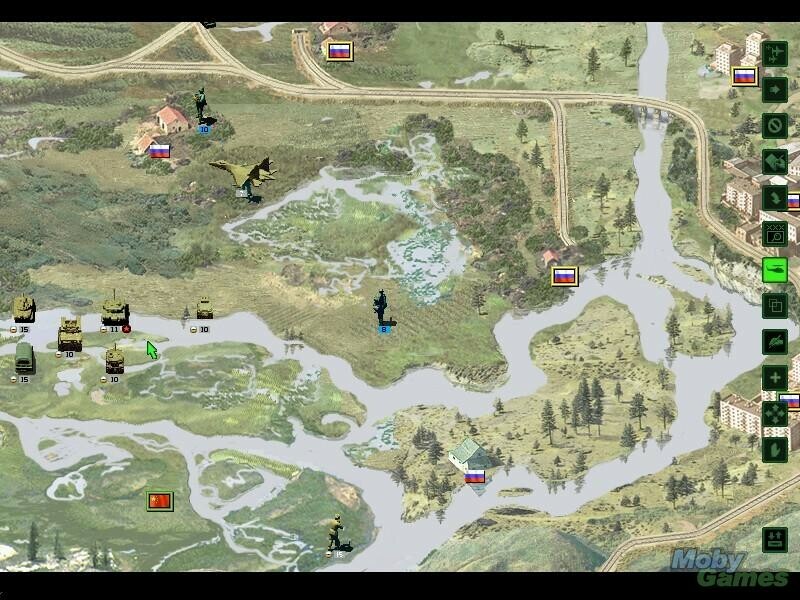 While People's General may be considered a "light" wargame, it is by no means easy or bereft of details. Units are rated for a dozen different capabilities as well as somewhat random special abilities and leadership characteristics. Some of the campaigns are downright hard and nasty and take a full understanding of the game system to do even moderately well. However, a tutorial and numerous easier scenarios and campaigns ease you into the game without smacking you in the face with a learning curve that looks like the north face of Mt. Everest. Fans of the series will not be disappointed, and if the new and fairly unique subject material breathes new life into wargames - even beer and pretzel ones - then that can't be half bad either.